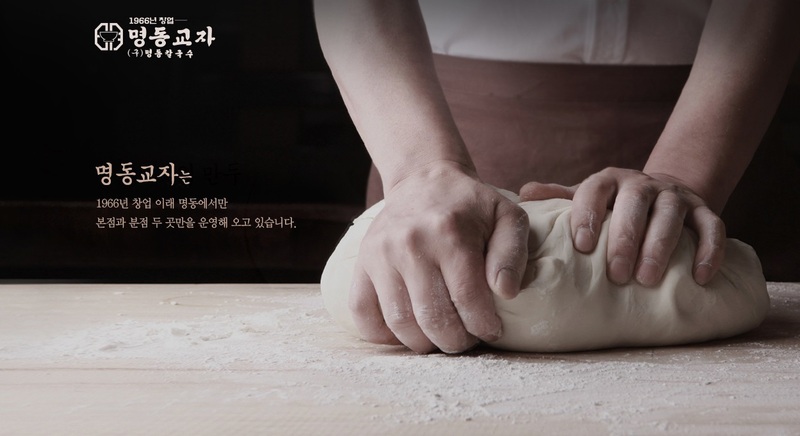 Myeongdong Gyoja (명동교자) is one of the most popular noodle restaurants located near Myeongdong Cathedral that has been in business since 1966. 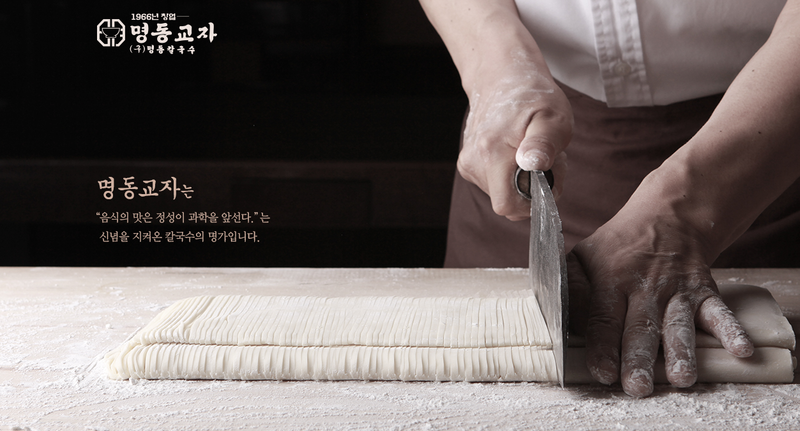 The restaurant is known for their knife-cut, handmade kalguksu noodles, which is its main menu item. 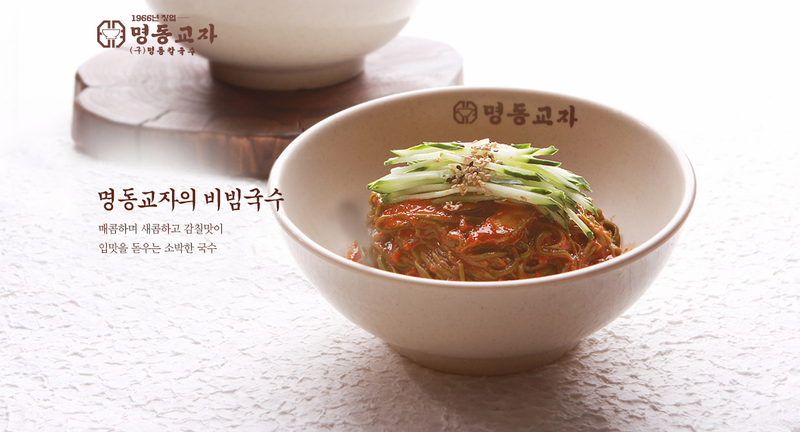 These prepared noodles are served in a deep and flavorful broth with meat and vegetables, making for a delicious meal. 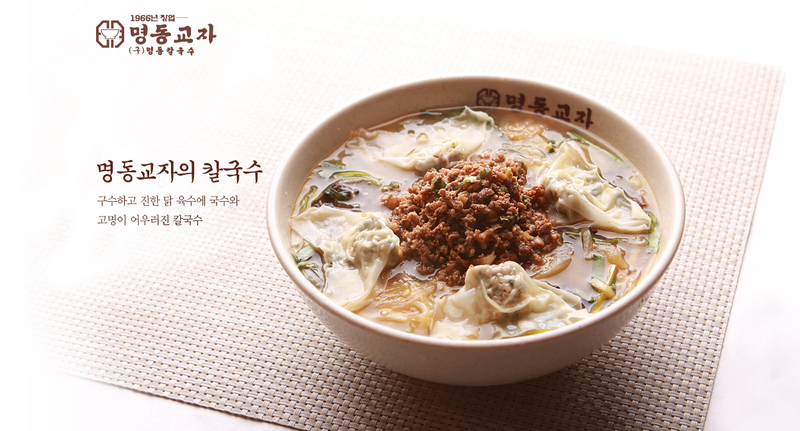 Also popular are the mandu (dumplings), bibim guksu (noodles with vegetables and red hot pepper paste), and kongguksu (noodles in cold soy milk broth).